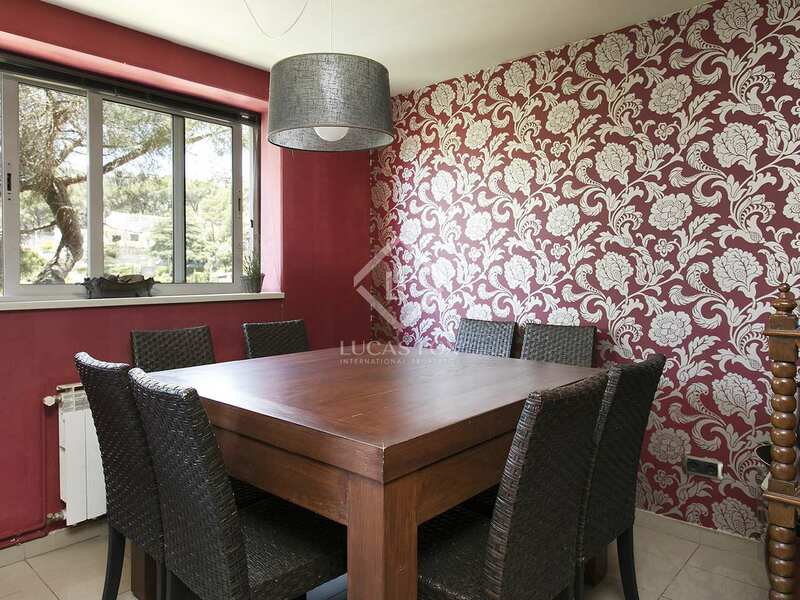 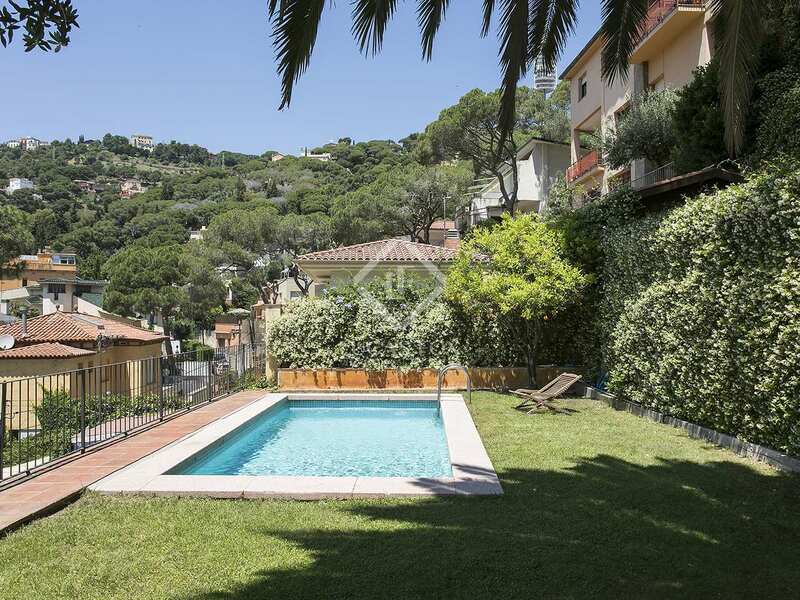 Detached house with a garden and swimming pool for sale close to Peu del Funicular. 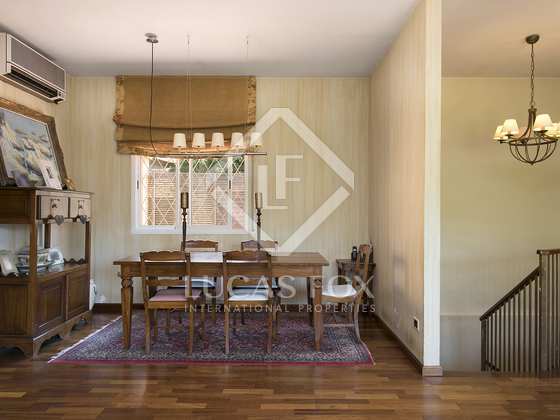 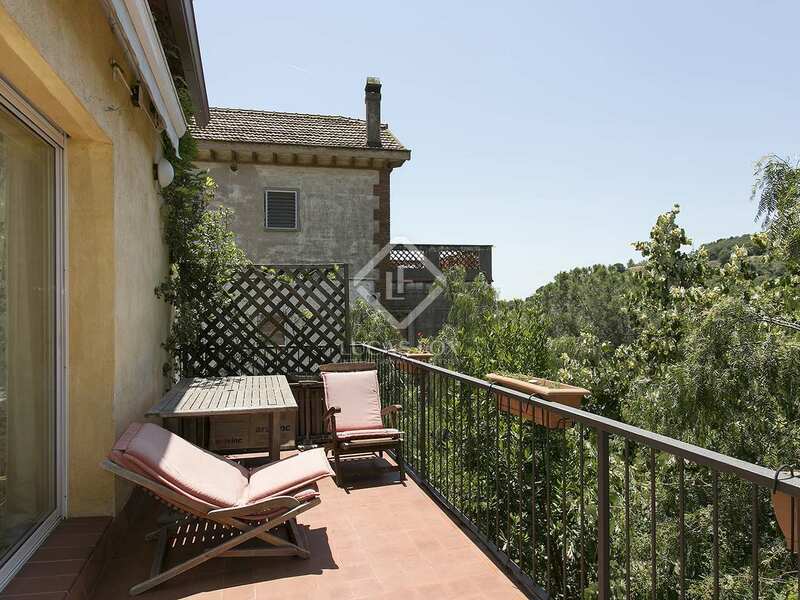 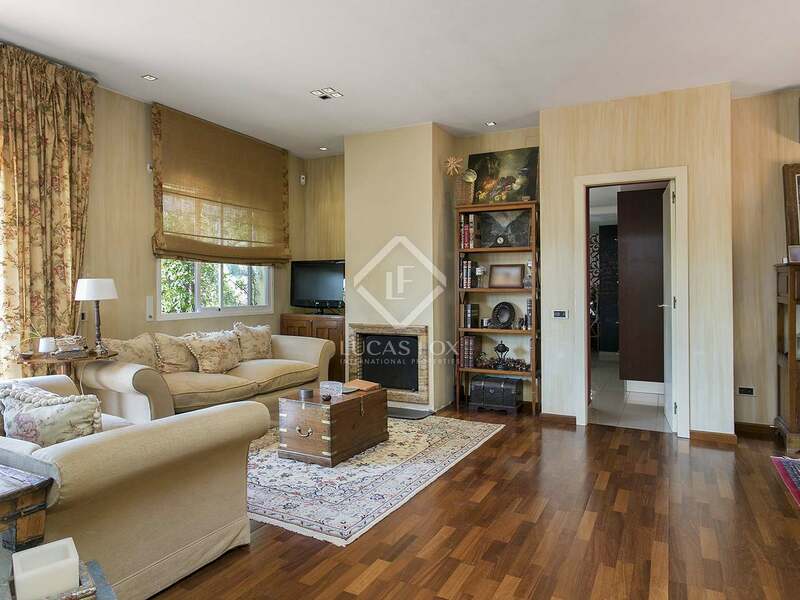 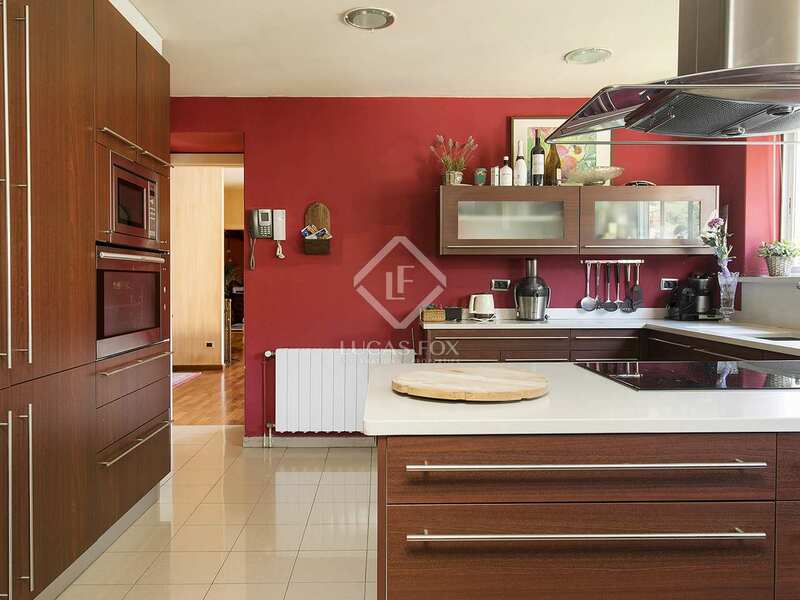 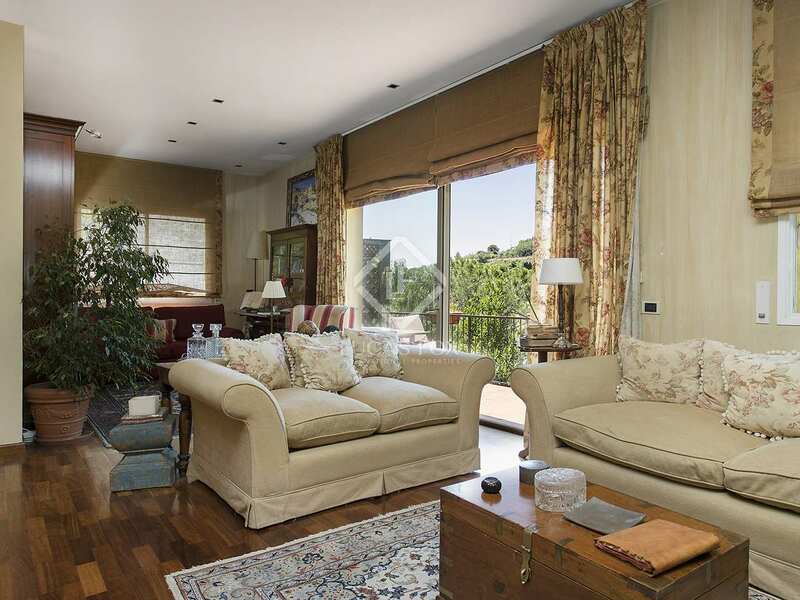 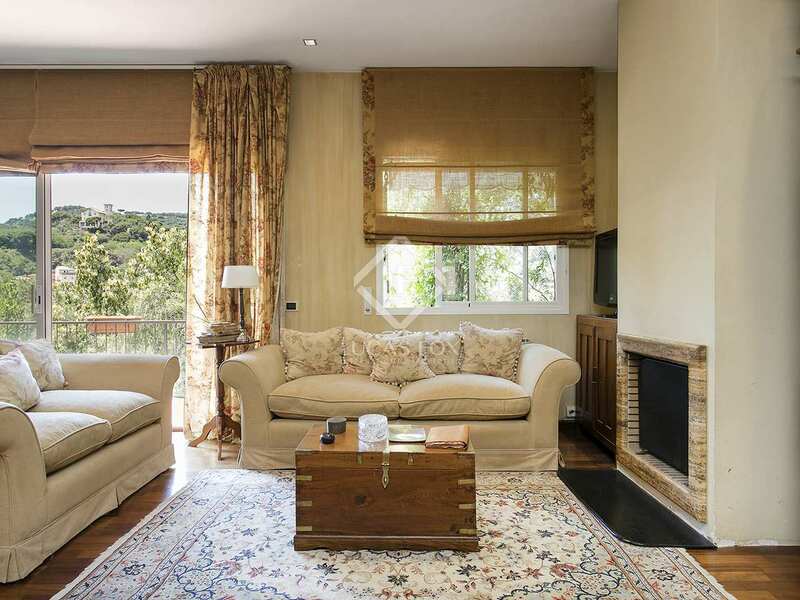 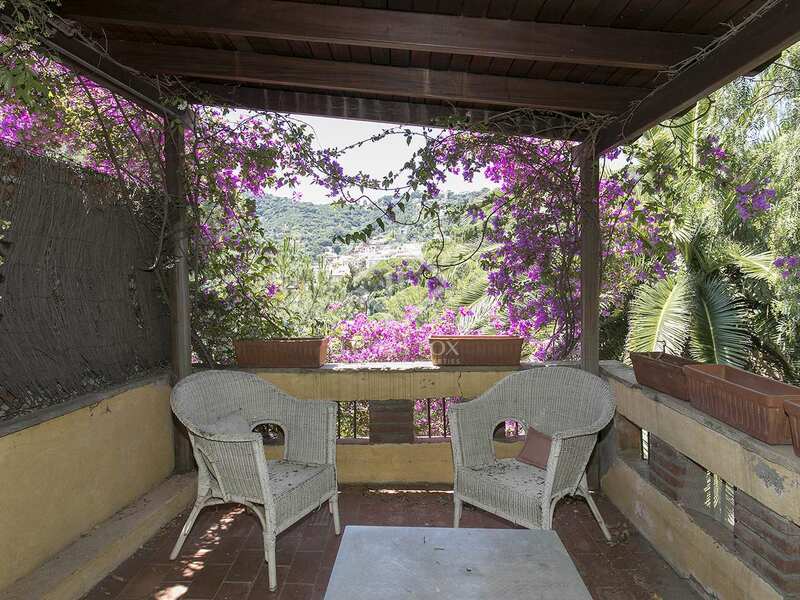 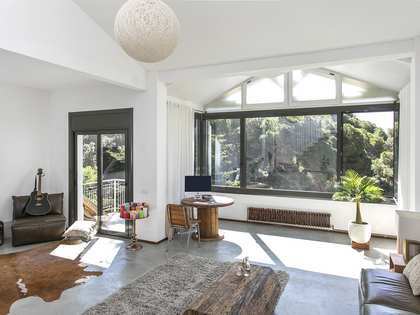 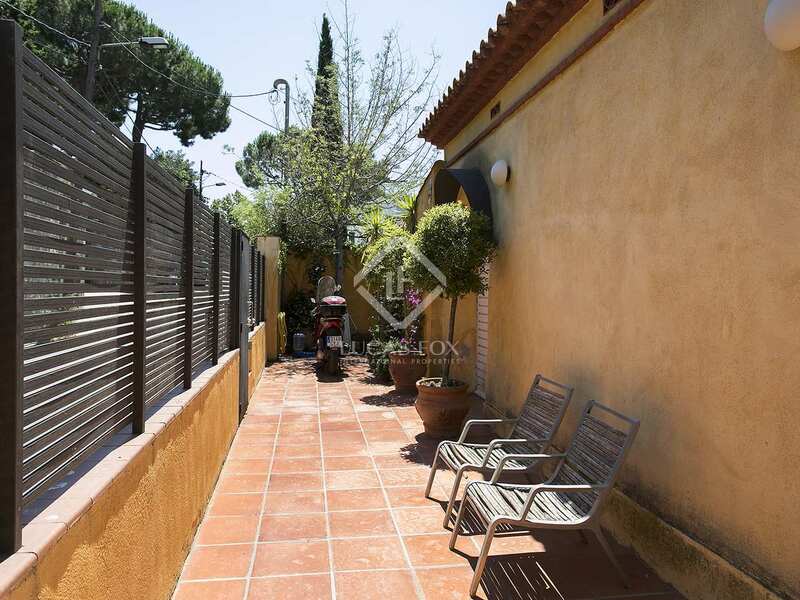 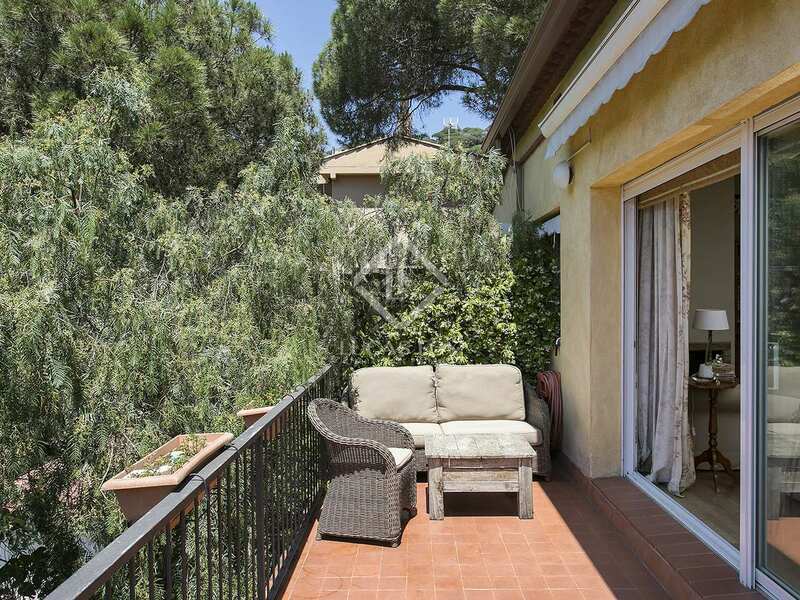 This welcoming detached property is located above Ronda de Dalt in a peaceful area close to the Peu del Funicular Ferrocarril station. 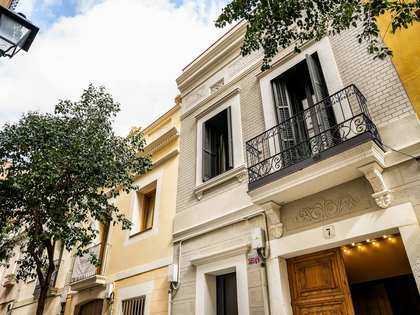 The best schools in the city including Montserrat, Oak House and Benjamin Franklin are all nearby. 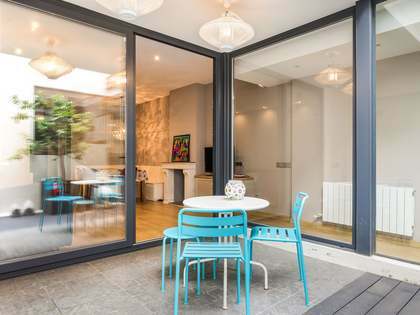 Distributed across 2 floors, at street level we find a large open office space and a cosy living-dining room opening onto a 14m² terrace from which views of the attractive garden and mountains beyond can be enjoyed. 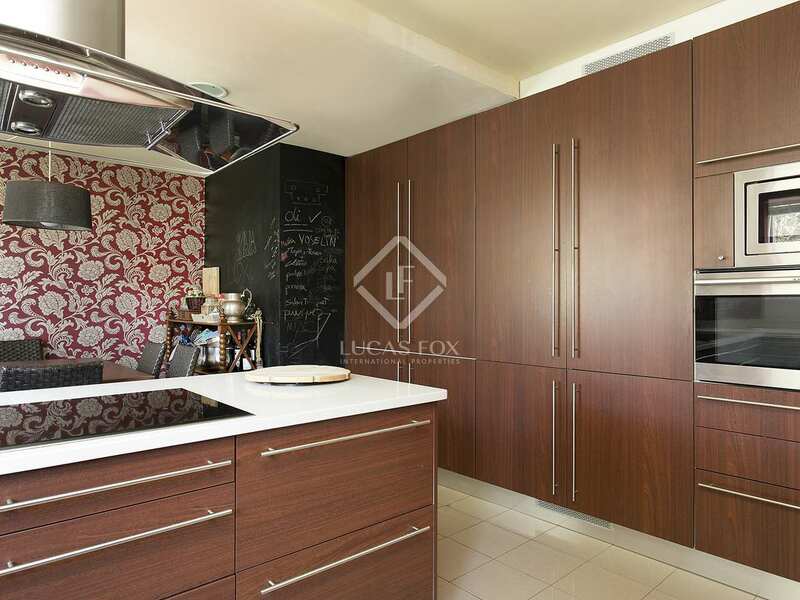 The well-equipped kitchen connects directly to the garage which has a storage area in addition to parking space for 2 cars and various motorbikes. 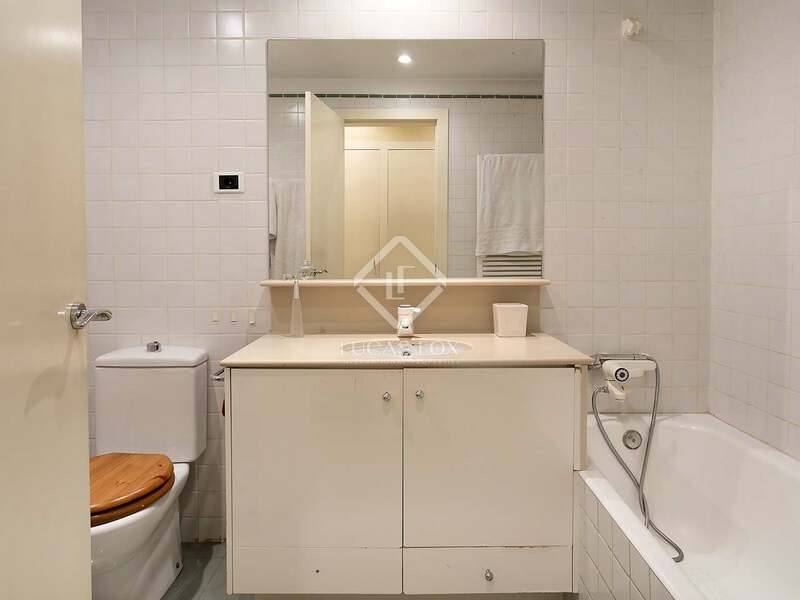 A guest bathroom completes this floor. 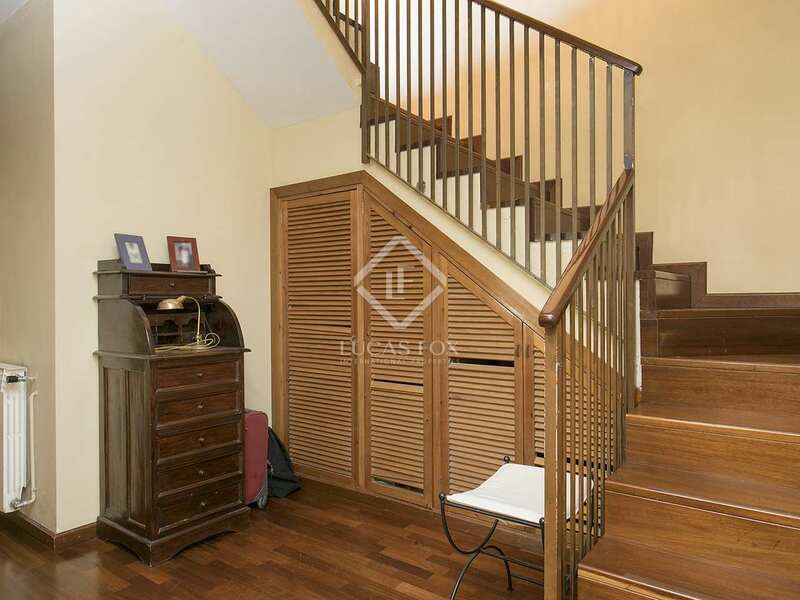 A staircase leads down to the lower floor comprised of a large multi-use space giving access to the utility and boiler areas as well as having access to the terrace. 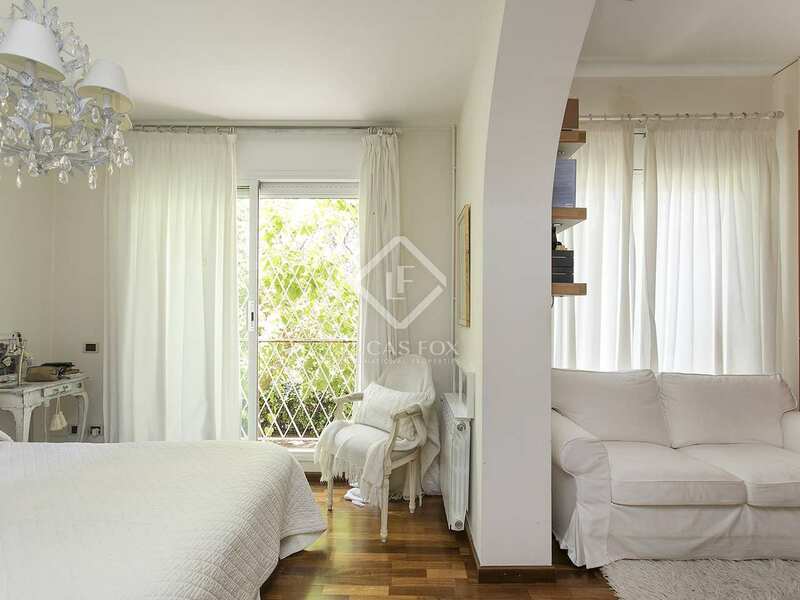 There are also 2 double bedrooms and 2 bathrooms plus the master bedroom with bathroom and dressing area on this level plus a service bedroom with access to the garden. 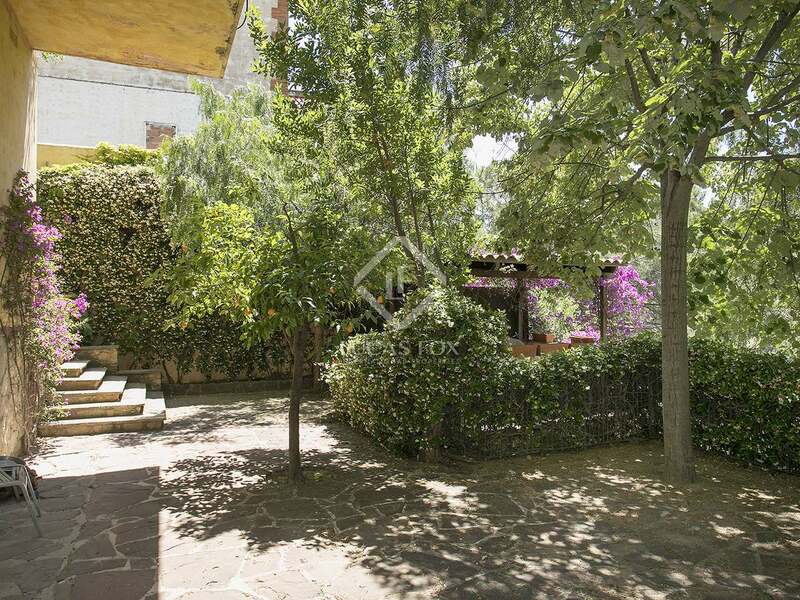 The attractive garden is divided across 3 levels. 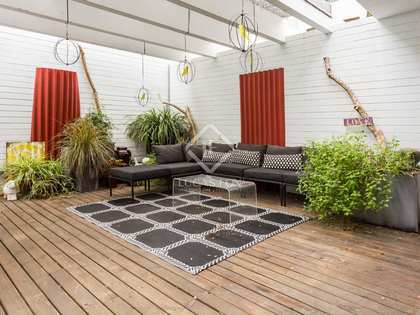 On first level has decking whilst the other 2 have grass. 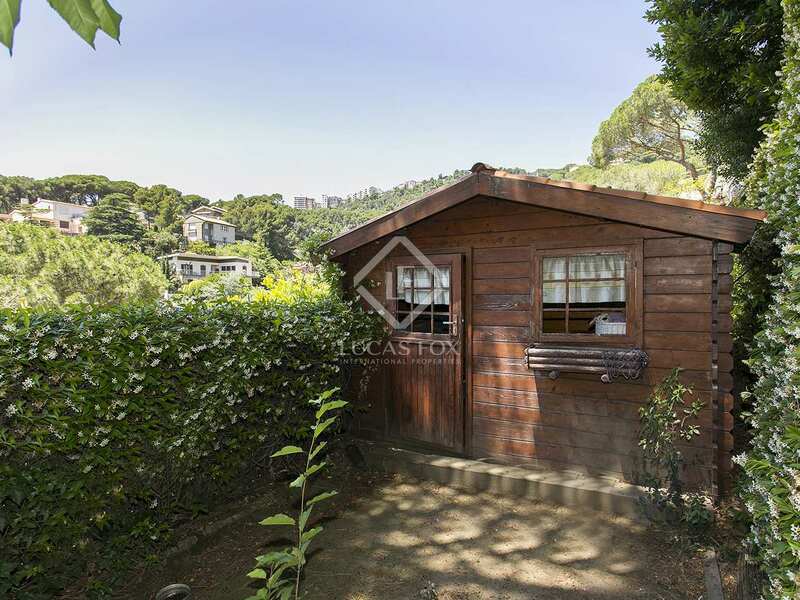 The second level is home to a shed and the old service accommodation with a bathroom. 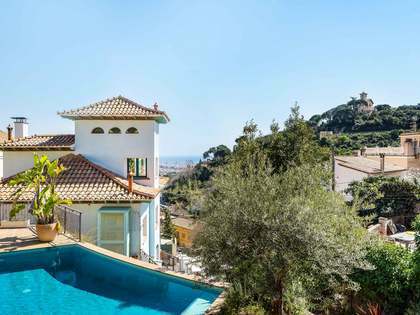 Finally, the third level is where we find the salt-water swimming pool, perfect for making the most of the excellent climate. 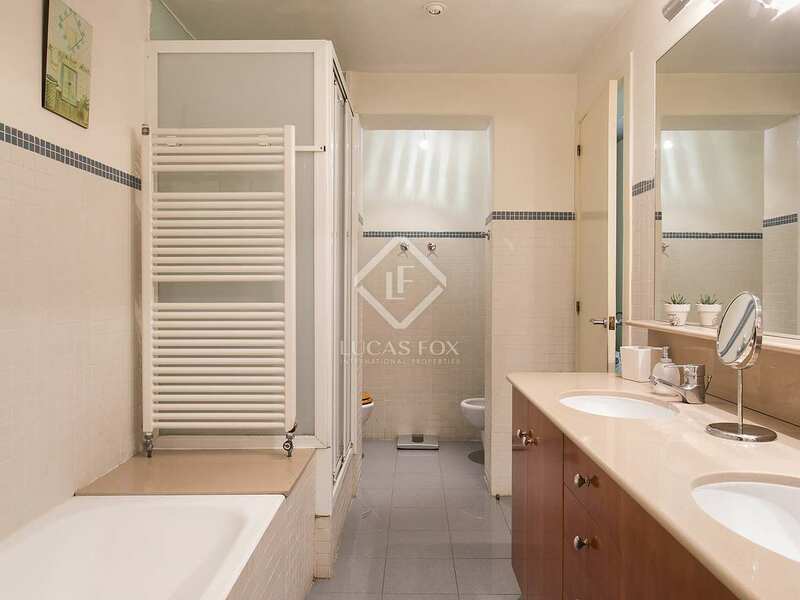 Notable features include parquet flooring and ceramic tiling in the bathrooms. 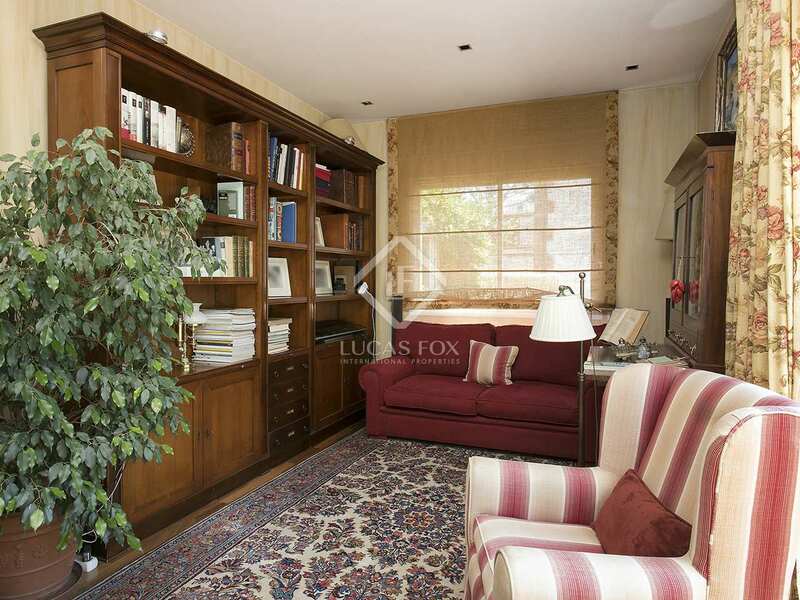 There is heating and air conditioning for year round comfort. 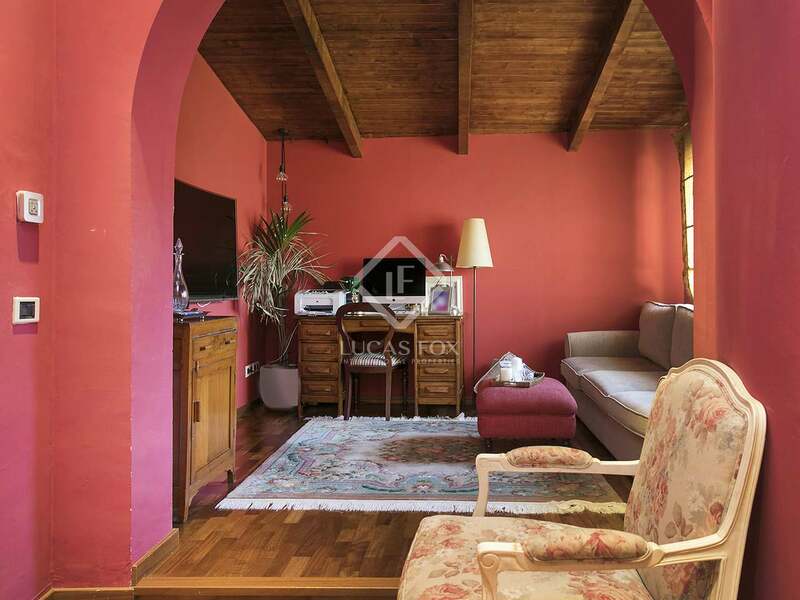 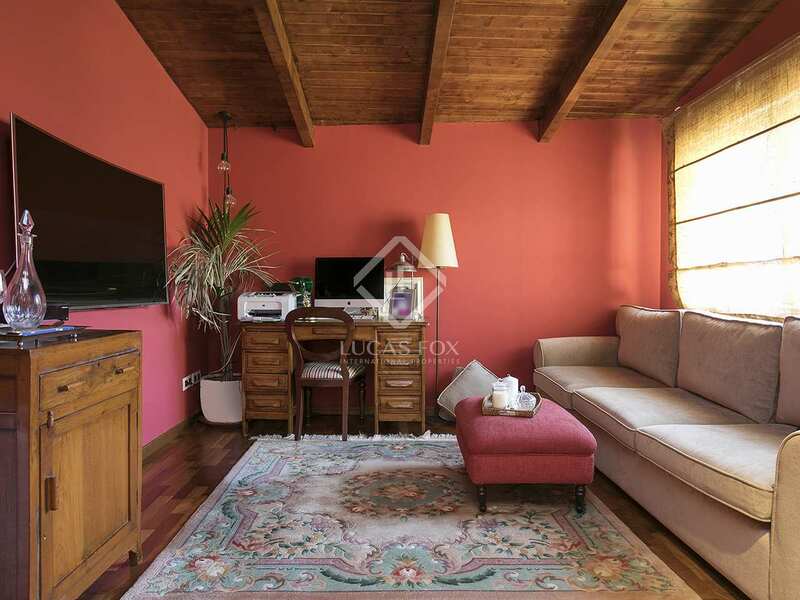 The property has been maintained in very good condition but offers the opportunity to renovate according to the tastes and requirements of the new owner. 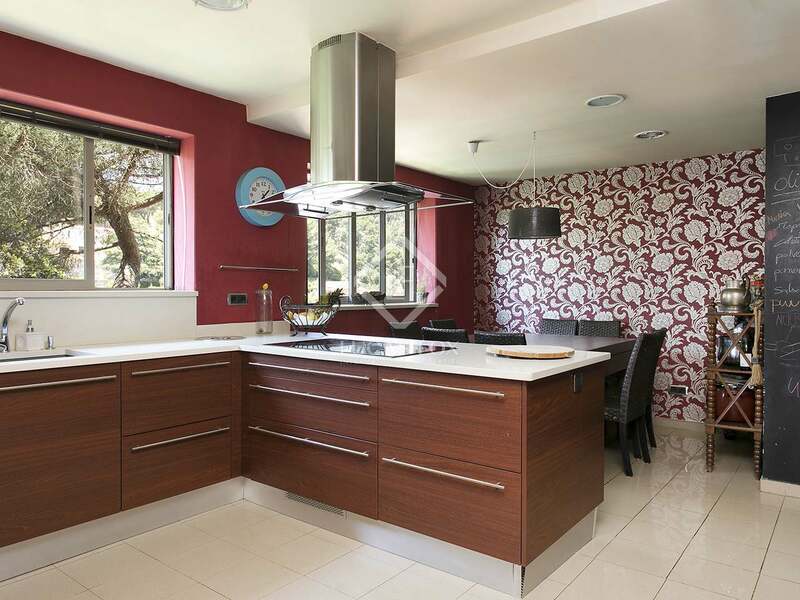 This excellent property would make a fantastic family home for those seeking a house close to top schools. 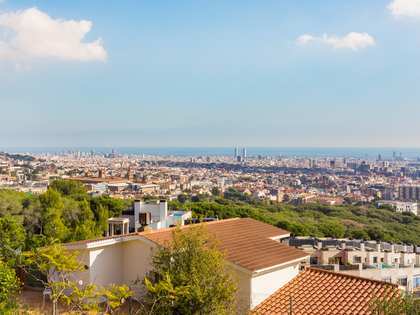 It would also be an ideal option for frequent travellers given that it is perfectly located for fast entrance to and exit from the city. 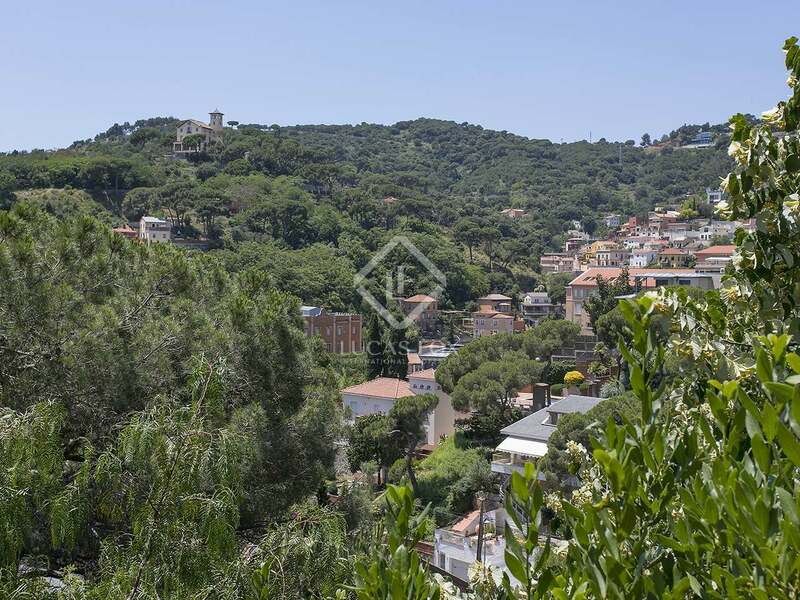 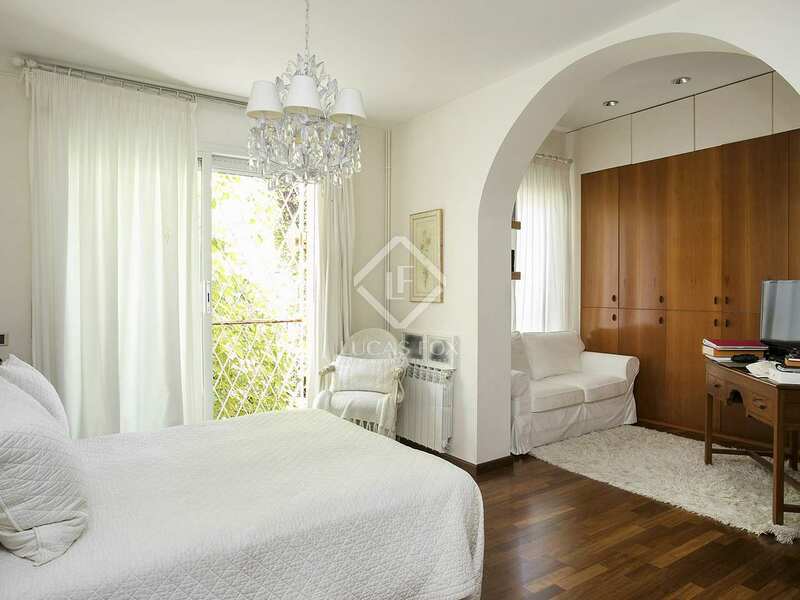 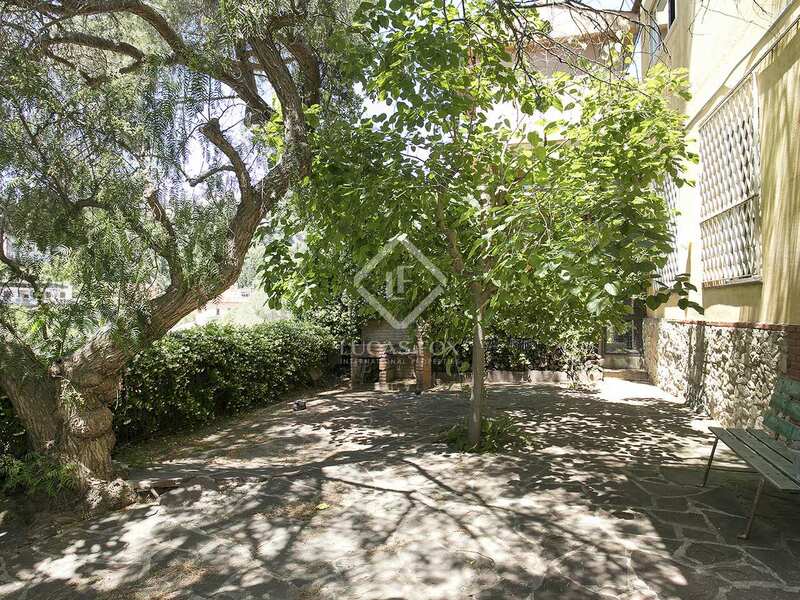 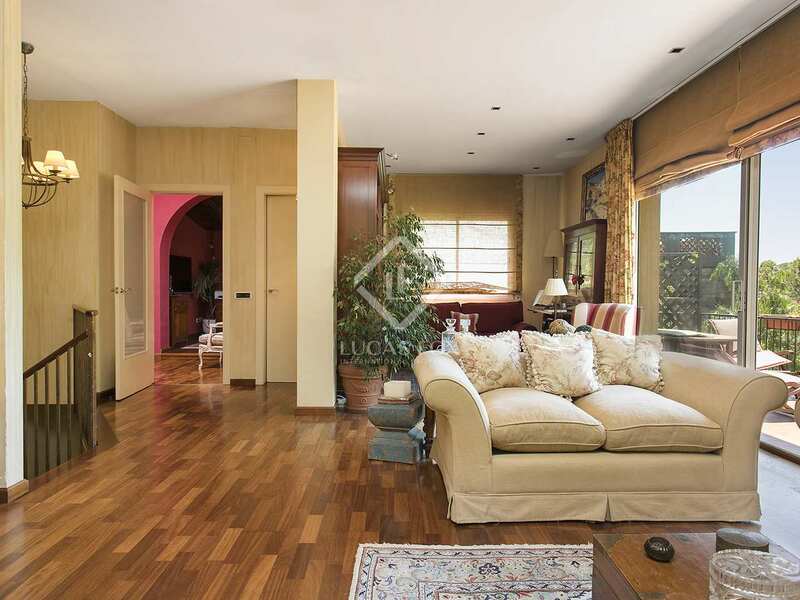 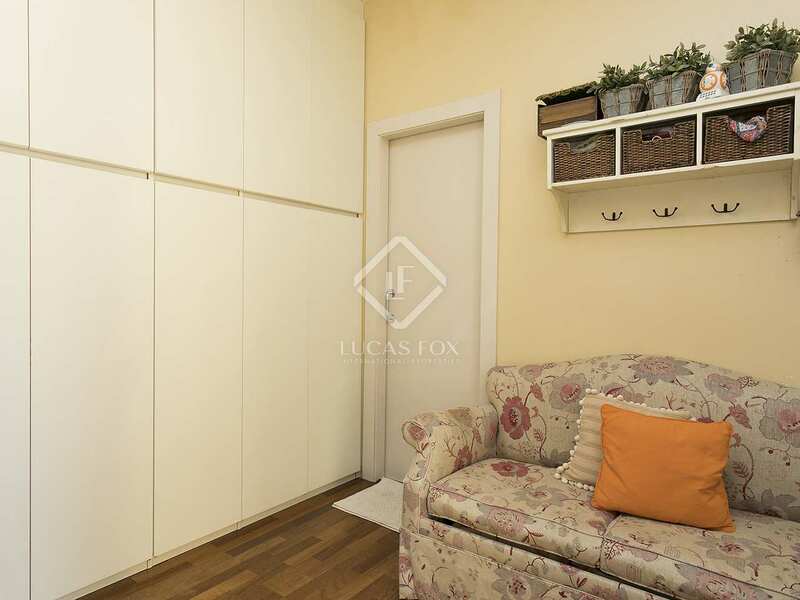 Property for sale in Sarrià, Barcelona's Zona Alta, close to Peu del Funicular and with quick entrance to and exit from the city. 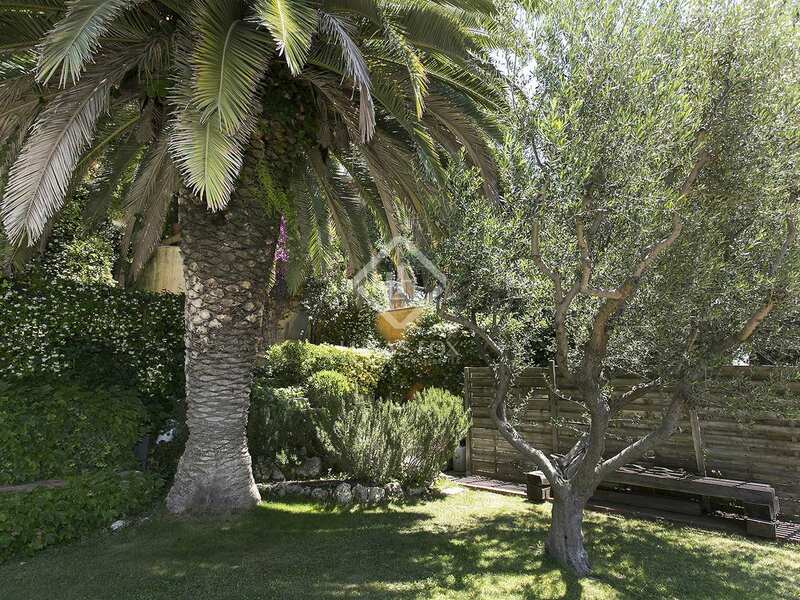 This peaceful area of the city has the best International schools making it a popular choice amongst families.